"There is no deal yet, but right now, that looks like a strong possibility." Anthony Joshua's camp is in advanced talks with Jarrell Miller for a US debut fight in New York in June. 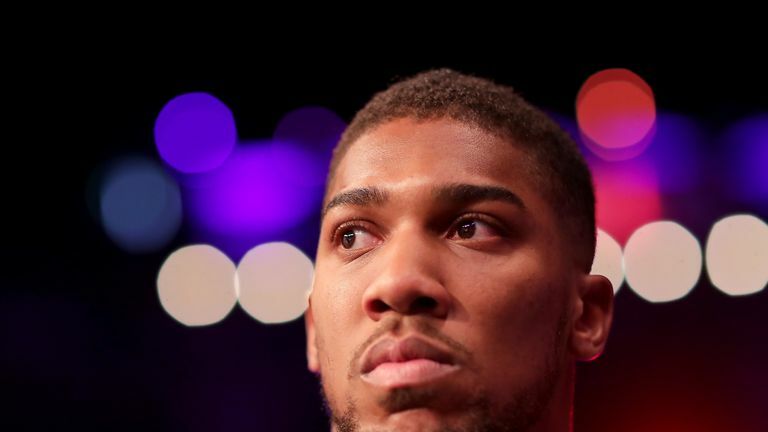 Anthony Joshua's USA debut against Jarrell Miller is a "strong possibility" and a New York fight in June could be announced next week, says promoter Eddie Hearn. Britain's heavyweight champion is pressing ahead with plans for a world title defence against 'Big Baby' Miller after Whyte declared that talks were 'dead' over a rematch at Wembley. Matchroom Boxing boss Hearn insists terms are yet to be agreed between Joshua and Miller, but continues to hold discussions about a Madison Square bill that could also feature a number of British fighters. "Looking at the Miller fight," Hearn told Sky Sports News. "New York is something that we didn't expect, but as we talk more about it, as we speak to great venues like Madison Square Garden, it's starting to sound quite special. "Not just that fight, but also creating a weekend in June for British fight fans to remember for a long time. We're stacking the card with major championship fights for the young British talent, for established British talent as well. "We're not done with Jarrell Miller. We have deep talks progressing now. There is no deal yet, but right now, that looks like a strong possibility." Whyte could return to the ring before Joshua, with the Brixton man likely to fight at The O2, after talks broke down over a second bout between the British rivals on April 13. "April 20 looks like it could be Dillian Whyte at The O2 Arena, obviously if they don't fight," said Hearn. "It could be Dillian on April 20, Joshua in New York. Still a long way to go. Plenty of twists and turns left. "There was a clock ticking for Wembley. I think we can rule that out of the equation right now, but June 1 is some weeks away, but obviously we want to get it announced. "AJ wants to know what he's doing, and hopefully by end of this week, the weekend, we could be in a position to announce his next fight."